Homepage feature > Do you think Brexit will still happen? The fate of Britain’s withdrawal from the European Union still hangs in the balance, with the Government so far frustrated in its attempts to negotiate a Brexit settlement. 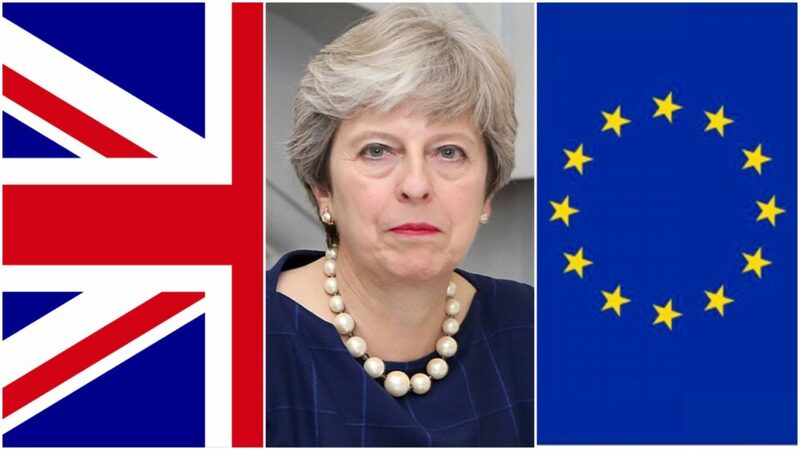 Both sets of politicians involved in the ‘divorce’ talks blame each other for the lack of progress to date, with the prospect of no deal being reached seeming a distinct possibility, although the United Kingdom is staying on its course to quit the EU. The overwhelming majority said they believed that the current policy will not be reversed, with many citing that the democratic process must be seen through to its conclusion. More than three quarters felt we will eventually leave the EU, as 362 (76.4%) stated that yes, it will go ahead. 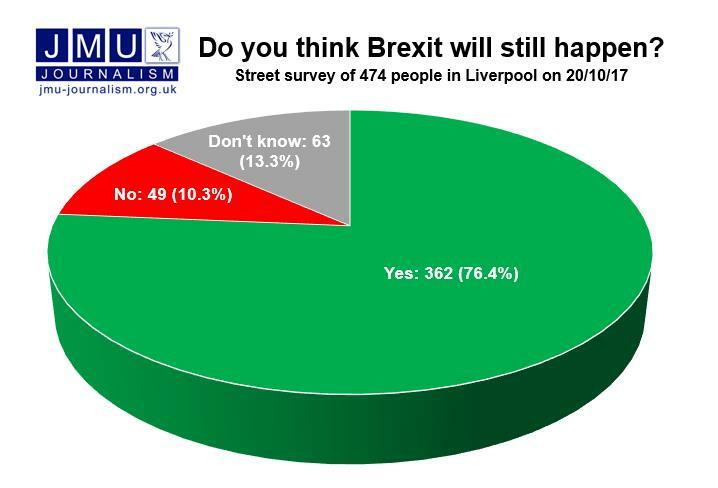 More people were left uncertain than were emphatic in their views that Brexit will be stopped, as 63 (13.3%) said they either did not know or were unsure, with just 49 (10.3%) stating their opinion that it will never actually take place. Some, such as Mary Richardson, fully support the June 2016 referendum verdict and expect it to be delivered. Scroll through the edited comments below to read more of the public’s opinions in our exclusive poll. 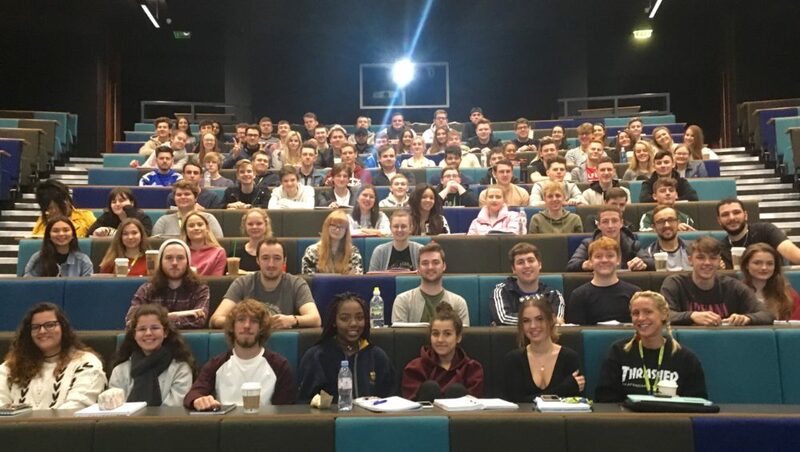 Additional reporting by: Lakeisha Banwell; Tom Battison; Lewis Batty; Stephen Bramhill; Zoe Burgess; Euan Burns; Kelly Craig; Luke Edwards; Maisie Harvey; Adam Higgins; Daniel Hopkinson; Adam Jackson-Wright; Louise Jamison; Charlie Jenkinson; Alyce Johnstone; Daniel Jones; Ethan Jukes-McNee; Laura Kelly; Benjamin Kelly; Cliona Patterson; Josh Newman; Lydia Baggs; Paul Kelly; Oscar Lander; James Lee; Joseph Logue; Tyler McGladdery; Sheldon McGovern; Owen McKendry; Alexander Metcalfe; Jonathan Mills; William Moore; Mathew Nixon; James Pendleton; Harry Pittom; Matthew Price; Scott Taylor; Frank Watson; Daniel White; Nathan Rylands; Ben Scholey; Jose Ruiz; Liam Shuker; Mary Slowey-Lowe; Megan Stringer; Olivia Wagg; Faye Wasilowski; Daniel Williams; Demi Williams; Danielle Wilson; Sarah Almond; Samara Anderson; Gioia Dalosso Hemnell; Matthew Dinsmore; Kiva Donald; Sophie Drew; Maelle Fontaine; Francesco Guerritore; Jada Jones; Ana Madureira; Harriet Morphy-Morris; Adamma Sargeant; Reanna Smith; Katherine Hazelton; Caoimhin O’Doherty; Charlotte Kenny; Tilly Kenyon; Ben Lynch; Aoife Monaghan; Chloe Morgan; Solomon Murphy; Gabby Nicholson; Matthew Nyland; Scarlett O’Toole; Rosemeen Patel; Grace Plowman; Katie Preece; Jack Prescott; Stephen Rawlinson; Jessica Rigg; Robert Robinson; Tobias Rogers; Ash Rowe; Mariana Alves Antunes; Jordan Barrett; Dancho Bashov; Sam Bellingham; Jake Borrer; Joshua Brain; John Broad; Callum Chadwick; Conner Charlton; Toby Clarke; Robert Clifton; Toby Corkin; Thomas Ellis; Ryan Farrell; Jack Fisher; Oliver Green; Arbaaz Ikram; Harry Jones, Josh Birch & Emily Roberts. “I think it’s a good thing, we want to get out. We want to be on our own again, don’t we? Guardian: What does a 'no deal' Brexit mean and how bad could it get? 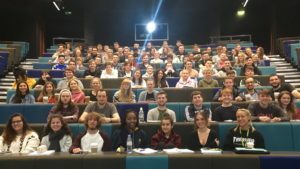 JMU Journalism (2016): Should there be a second EU referendum?